 It has been more than 4 months since the last time you clean out your closet.  You recently went on a shopping spree and purchased more than 10 clothing items.  You’d like to make some $$$.  YOU’RE OUT OF ROOM.  Messy? I hate to say it, but start with the messiest part of your closet. Yes, if you have clothes thrown in the floor of your closet, then I mean start there.  Neat? Pick a category (like pants, sweaters, or t-shirts) and start there.  Anything that you absolutely hate and wonder why you purchase in the 1st place. Seriously. Chalk it up as a loss and move on.  Anything that you swore you were going to get rid of the last time you wore it, but it somehow made it back in your closet–think pants that are too short, shirts that you kept pulling at all day, etc.  Anything that you haven’t worn in over 2 years that you won’t need again. And by need again, I don’t mean that somewhere in the realm of possibility you might just maybe wear again. I mean items that could be used for costumes (tie dye shirts or camo pants) or special occasions (suits or glam dresses).  Anything that has outlived its life, like shirts that have holes in them or pants that are completely worn in the seat.  Anything that no longer fits. This is the hardest part for me. If you’re holding on to an item until you lose 5 or 10 lbs, and that item has been in your closet for more than 1 year, it’s time to let it go (unless you’re now actively in the process of losing the weight). Look at the bright side–if you lose the weight at some point in the future, then you deserve some new clothes for losing weight that you had wanted to lose forever! I know that after having a baby, some things just fit me differently, even though I’m back to pre-baby weight, so I [sadly] kissed them goodbye.  Anything that doesn’t flatter your body. If you finally find a fit of jeans that work for you, get rid of all the jeans that don’t! If a dress just isn’t working for your body type, pitch it! Shows major muffin top? Gone. Just because you bought them doesn’t mean you should keep wearing them.  Anything that you haven’t worn in over 1 year that you won’t need again. Since this is the pass where you try-on items, this will help you to see if you may ever wear it again, or if there’s a reason it’s been hanging in your closet for so long!  Anything that doesn’t make you happy. Let’s be honest–some clothes just depress me when I look I them. Toss em! Life’s too short to wear depressing clothing! I’VE GOT A PILE OF CLOTHING–NOW WHAT?  Have a clothing swap with friends! If you’re going to be miserable and clean out your closet, shouldn’t they do it too?  Sell your clothes! I frequently sell my clothes on my personal Facebook page, but you can also have a yard sale, put the clothes on a website like eBay or Poshmark, take them to a consignment store, or sell to a resale shop like Clothes Mentor. You will usually get the most money by selling online, and the least amount of money by taking the items to a resale shop.  Donate your clothes! You can donate to Goodwill, other local drop-offs, a local church, or even some local schools (for instance, if they have a Youth Service Center). Happy closet cleaning! 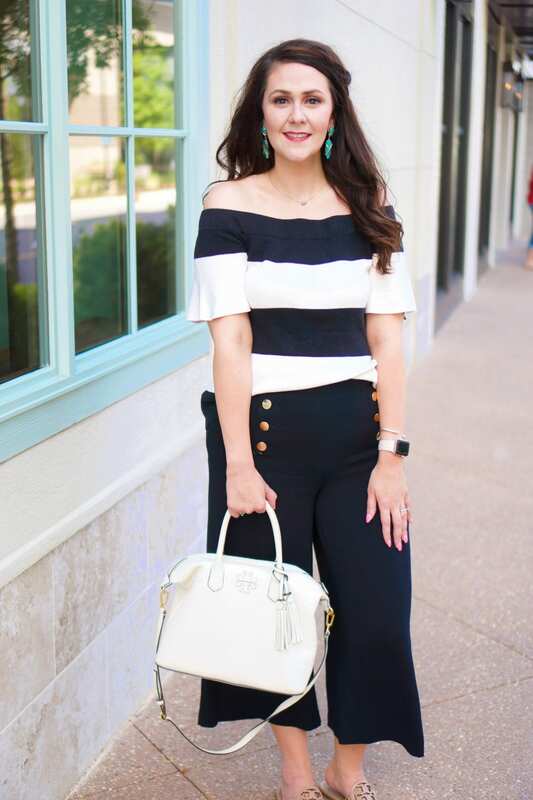 As bad as I hate cleaning out my closet, I’m always happy with the results–a clean closet and a fresh take on what outfits I can put together, as I always discover clothes I forgot I had. Great post! I need to make another swoop of my closet and send a bag to thred up again! I love this post! I used to save everything in my closet, but I have recently been trying to purge my closet so it is more organized. It's always difficult deciding what to get rid of, so this is very helpful! Ahhh I hate cleaning out the closet too! I recently did it when I finally put away my maternity clothes and got some of my other clothes out of the attic (we have very limited closet space). But, I know I really need to go through it again. I keep thinking I'm going to wait until I stop nursing because there are some things I just can't wear on a daily basis anymore because it just doesn't fit my lifestyle right now, but I know there's probably more I need to get rid of then I'm letting myself believe right now! Thanks, Natalie! I'm such a hoarder when it comes to clothes, shoes, accessories, and makeup products, so I'm trying to be more conscientious about what I continue to hoard. I'm currently at 14 months nursing, and I am just now able to wear some of my dresses and stuff to work since I'm not having to pump or go over to daycare to feed. You should go ahead and do it now, getting rid of the stuff that you know you won't wear. Also, I found that wearing a tank that I could pull down (love the ones from Aero) under my tops made it much easier to get more wear out of my wardrobe! My husband and I both need to do a major overhaul of our closets. I'm hoping once we get settled that we can take a serious look at our closets and get rid of things! I'm bad about getting rid of things so I need to get busy. My husband is MUCH better at closet clean-out than I am! He's so decisive as he goes through that he doesn't need a second pass. I love a good closet clean out! Now that summer is almost over (in my mind, anyway) I've been wanting to do this. I also love those velvet skinny hangers. I have so much more space in my closet! Great post! Thanks, Katie! I finally made the velvet hanger plunge last winter, and it was life-changing! I picked these up at Sam's for a steal–35 hangers for $10! Great post! We are in the midst of closet cleaning to make room for new school clothes! I need to get some of those velvet hangers! 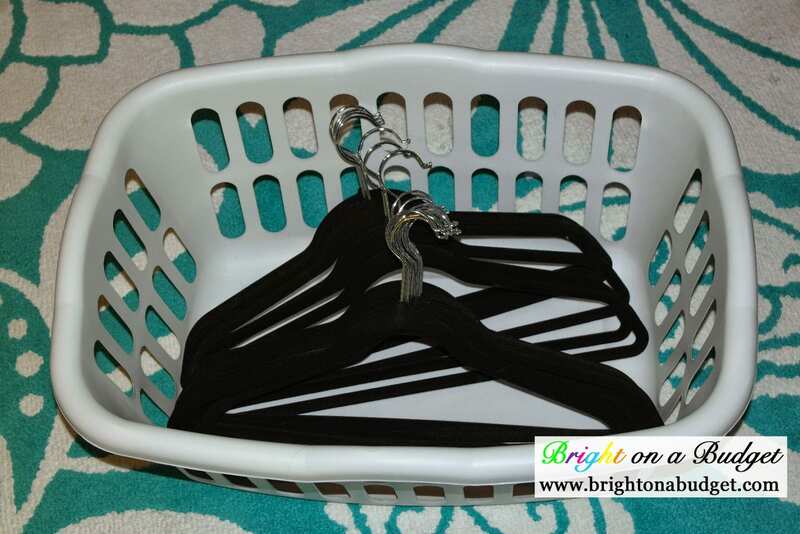 Jill, check Costco or Sam's Club– you get 35 hangers for $10! That's triple what you get from other places.